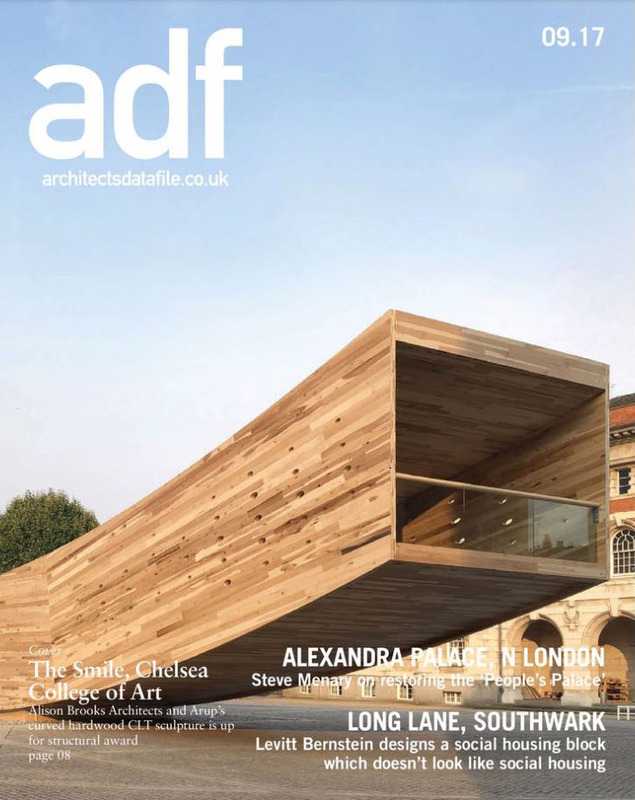 The Smile forms the front cover of the September issue of the Architects’ Data File, in recognition of its nomination for the IStructE Structural Awards 2017. The timber pavilion has been shortlisted in the category for ‘Small Projects (of under £1million)’. ABA collaborated with The American Hardwood Export Council (AHEC) and Arup, whose Special Structures team in London described the project as ‘the most complex piece of CLT engineering in the world’. The IStructE awards celebrate the role of structural engineers as innovative, creative design professionals and to showcase the world’s cutting edge engineering projects. Winners will be announced at a ceremony held on Friday, 17 November 2017 at The Brewery in London.